641 Piney Point Rd, Virginia Beach, VA 23452 (#10249838) :: Abbitt Realty Co. 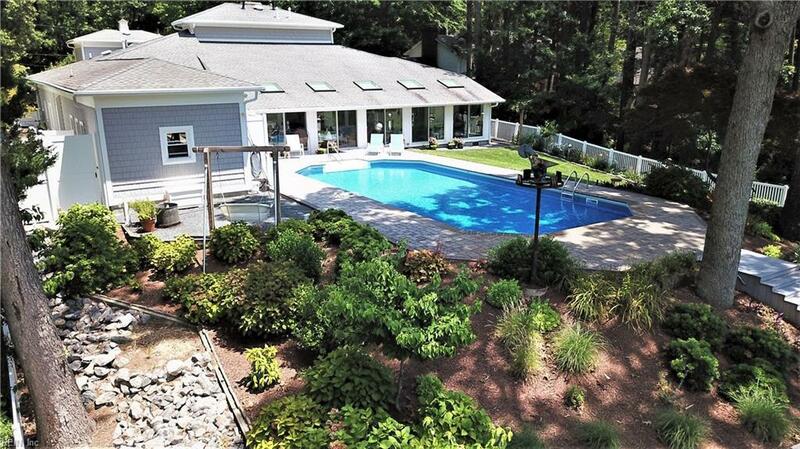 This one of a kind Custom Waterfront Home offers a unique lifestyle like none other in Hampton Roads. 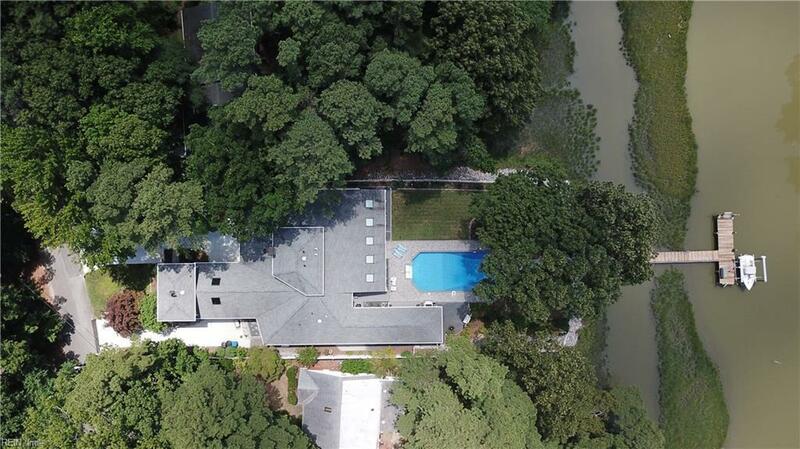 Waterviews throughout the entire living space and Master Suite with access to the incredible Sunroom that allows pure serenity while enjoying the views. 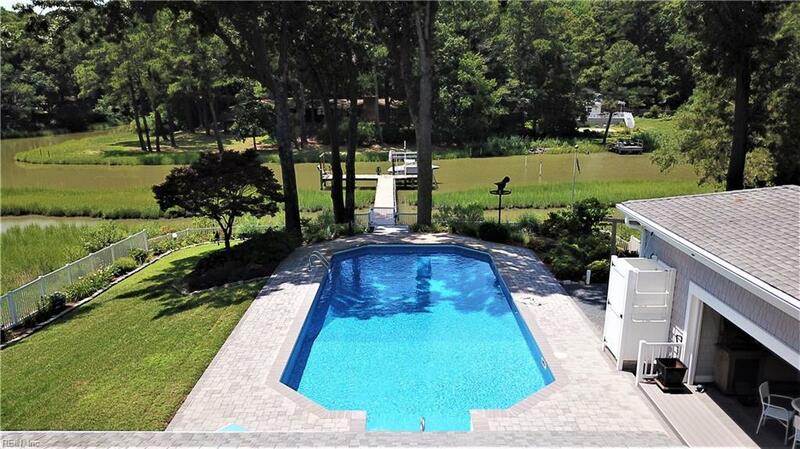 Lush landscaped yard with pier that leads to a large Dock with Boat Lift and encompasses the pavered pool area. This area is perfect for entertaining with a garage door covered pool bar area with half bath just steps away from the kitchen. Wide open Great Room concept Floor Plan with 6 bedrooms / 6.5 baths, one of which is above the In-Law or Guest Suite with it's own sink area for possible full kitchen. This expansive floor plan will have plenty of room for guests and storage with multiple walk in attic spaces. There are too many updates to list so please set a tour today for a first hand viewing.